Cue beach music** Immerse yourself in the jet-set lifestyle of Koko Kanu. Last week, I attended the press launch of Koko Kanu’s Frequent Flyers Cocktail Club which took place at the Opium Bar, Chinatown. The Koko Kanu’s brand ambassador Russell Burgess gave us a brief history of the 1950s Jamaica rum with coconut flavour - (which is made to be a full-bodied base rum and has 35.7% ABV) along with a cocktail masterclass where we got to try our hands at creating bespoke Koko Kanu cocktails such as Koko Kolada and Koko Daiquiri. 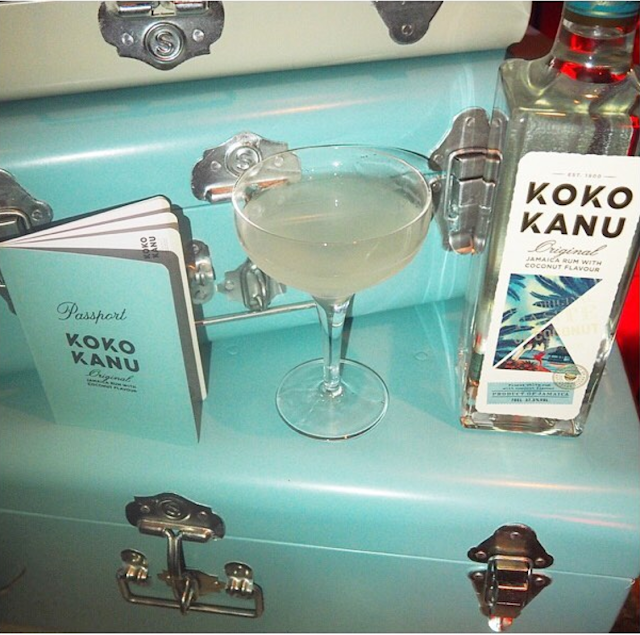 Koko Kanu is a blend of the finest Jamaican rum with coconut. The unique and exotic flavour is created using rums with coconut notes, which are carefully selected before starting the year long ageing process. The delicious, full-bodied rum is then charcoal filtered to ensure it is crystal clear, and then blended with coconut to create Koko Kanu. Surprisingly these cocktails were pretty straight forward and simple to make making them easy for anyone to make. The Koko Kolada which has a spin on the Pina Colada (which is the UK’s second most frequent drunk cocktail) required 50ml of Koko Kanu, Pineapple juice, a good old shake with plenty of ice and to conclude with a helping of grated nutmeg TAA DAAA! 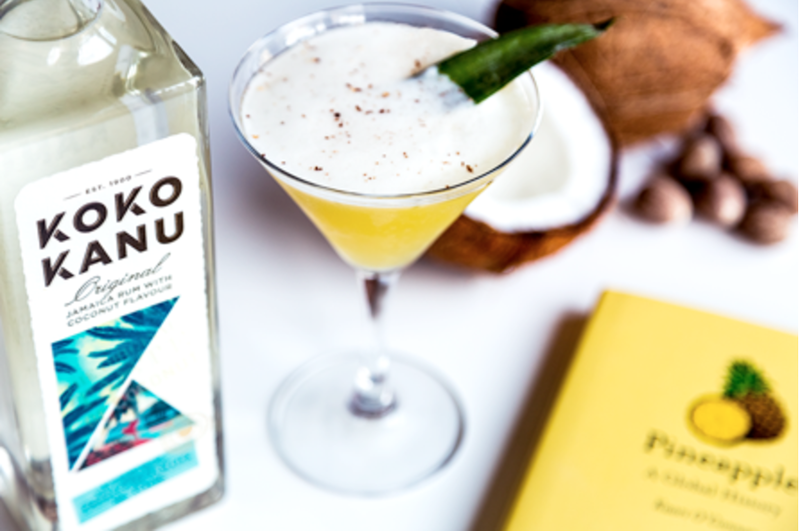 The Koko Daiquiri is a classic cocktail with a Koko Kanu twist; start with 50ml of Koko Kanu, 25ml of Lime Juice and 1 tablespoon of caster sugar. This cocktail was made in under a minute! It doesn’t come any simpler than that. • Head to any of the 6 bar destinations - Trailer Happiness, Bourne Hollingsworth, Opium, Made in Brasil, Rum Kitchen and lastly El Camion. • To unlock a ticket all you need is a past holiday snap which you present at your closest bar stop! 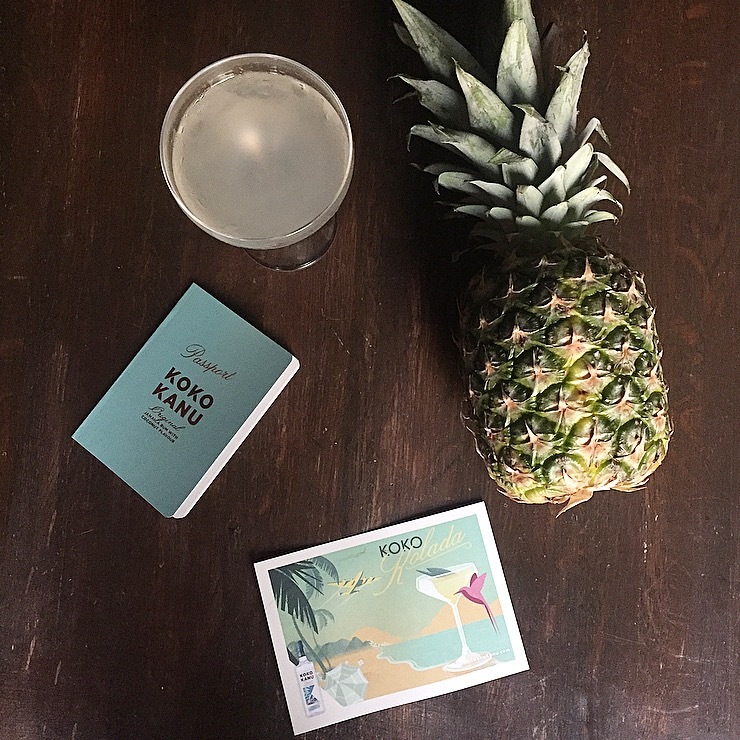 By showing off your past adventures, you’ll be able to redeem a Koko Kanu passport giving you two complimentary serves. • With this in hand, you’ll be all set to travel between bars and imbibe around the world in six globally- inspired cocktail bars. You can collect stamps in your Koko Kanu passport at each stop, and enjoy complimentary drinks with every 3rd stamp. • Once you’ve completed your cocktail journey and collected all six stamps, you can enter a competition to win a beautifully crafted luxury travel luggage set, cocktail masterclass experiences and Koko Kanu cocktail kits. Thanks to Koko Kanu for inviting me to this enjoyable evening, I had so much fun and it was great to learn more about the Koko Kanu brand.